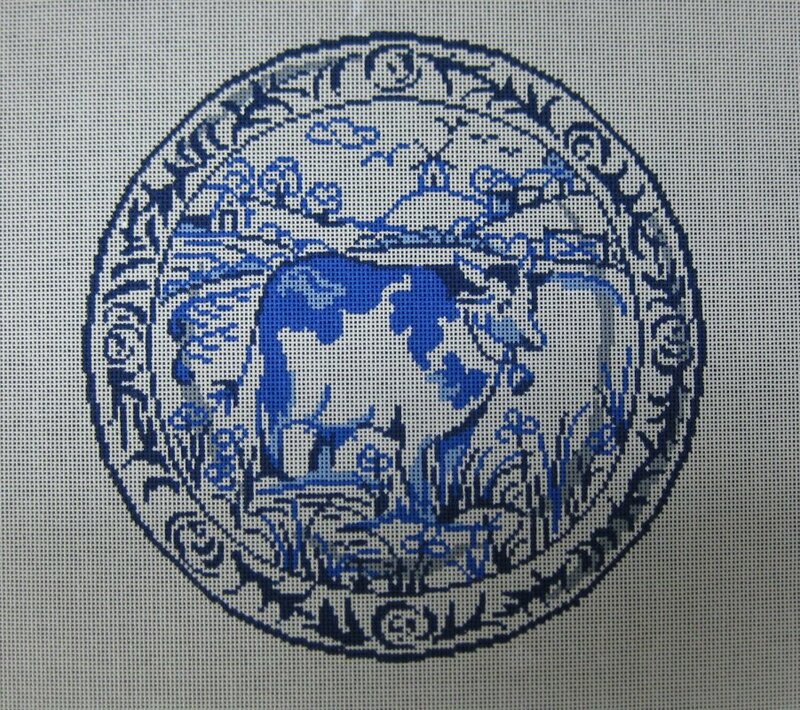 Patti Mann needlepoint design 2626. 14-mesh canvas. 11 inches in diameter.